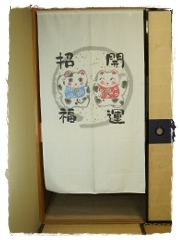 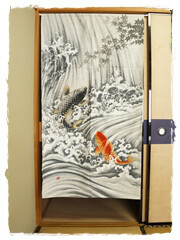 Made by the craftmen in Shibaraki, Japan. 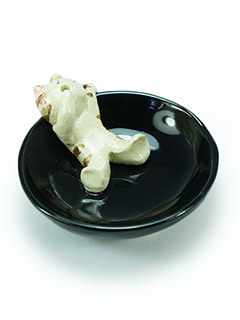 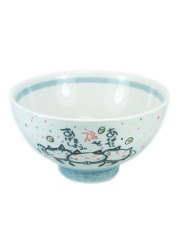 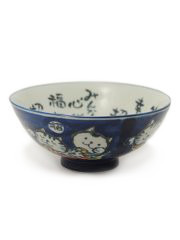 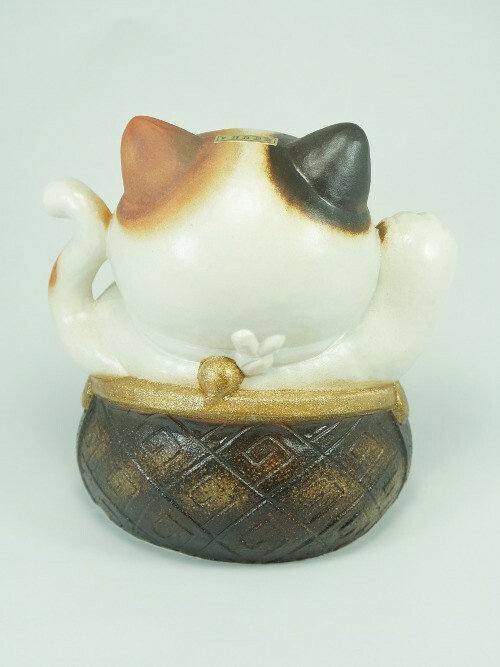 Discover this beautiful pottery from Shigaraki with a Maneki Neko-shaped inside a beautiful purse (gamaguchi). 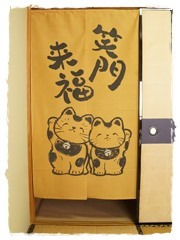 The pronunciation of this word Gamaguchi inspired Shigaraki craftmen who did a pun with the famous brand Gucci and gamaguchi. 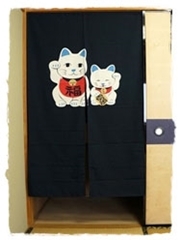 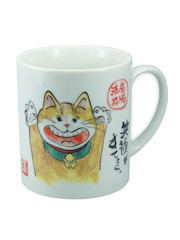 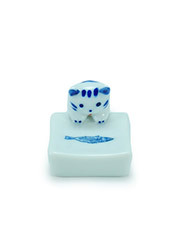 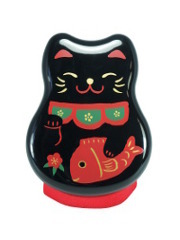 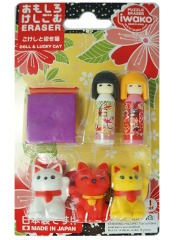 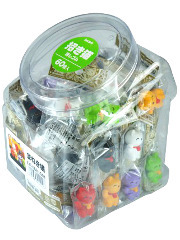 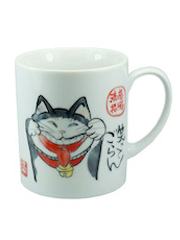 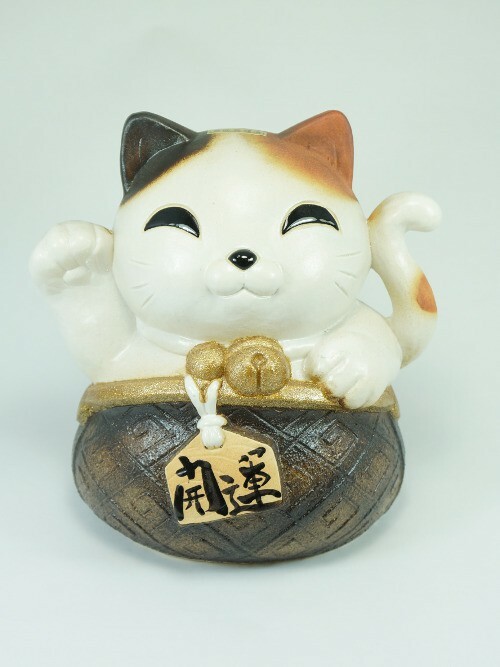 The Maneki Neko is the ultimate lucky charm in Japan. 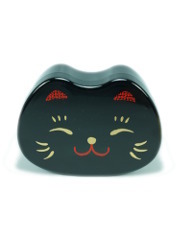 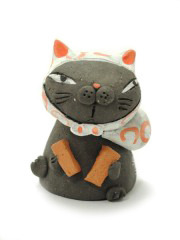 Made of ceramic, this is a very restyled model with this mischievous cat in a purse. 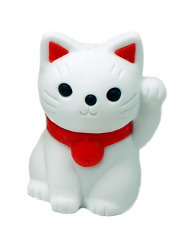 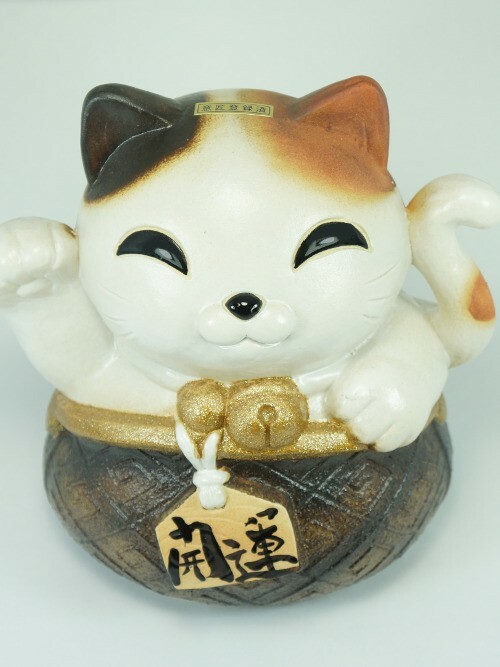 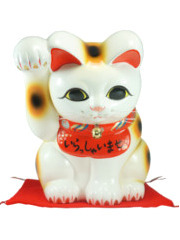 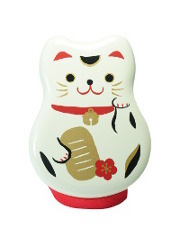 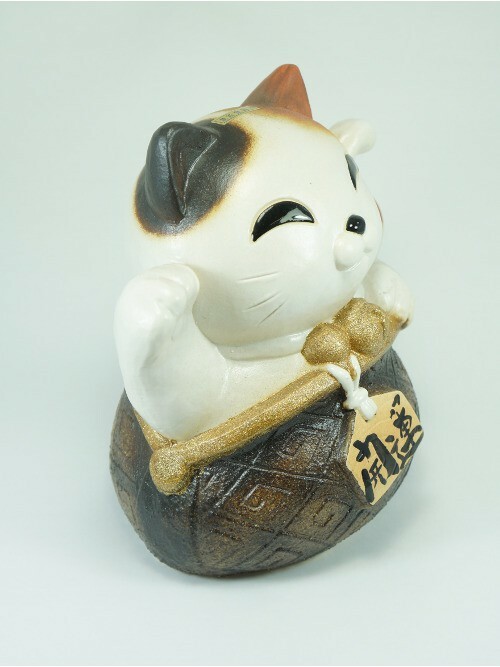 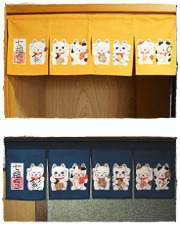 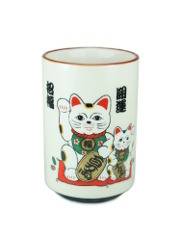 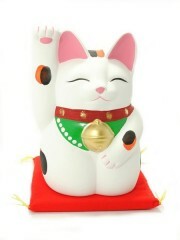 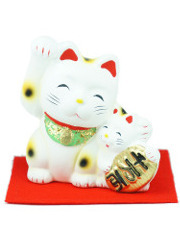 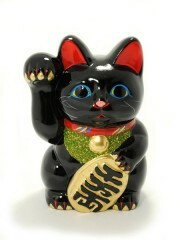 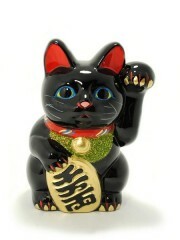 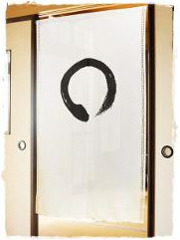 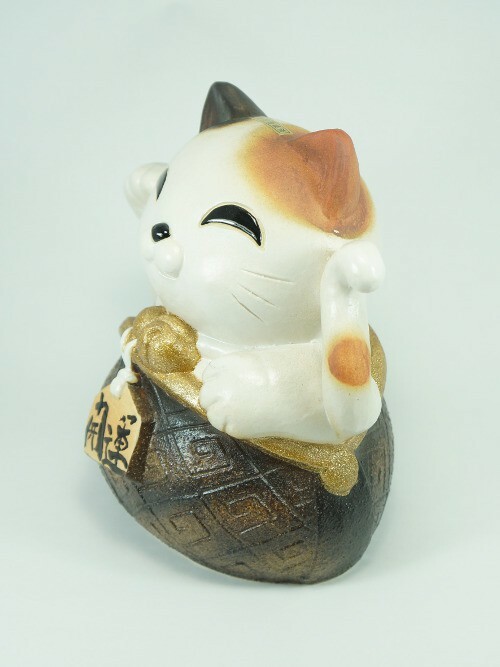 A maneki-neko with the right paw raised is believed to bring money to its owner. 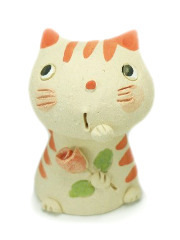 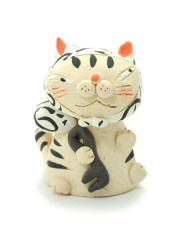 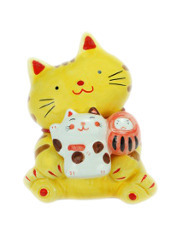 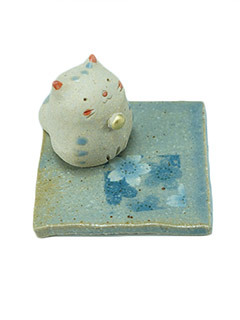 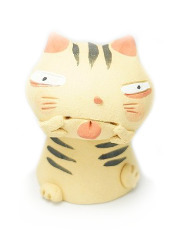 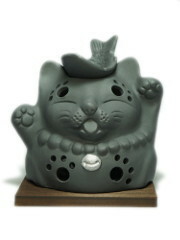 Perfect for britghten up your interior or your garden, this cute kitty will find a special place in your heart.